Contactless is a quick, easy and secure way to pay for items up to €30 and is now available on Visa Debit cards that have the contactless symbol on them. It’s ideal for quick stops at coffee shops, grocery stores and pharmacies at home and abroad - anything up to the value of €30. There is no need to put your card into the terminal or enter your pin all you have to do is simply hold your debit card against the card reader. Make cash and coins a thing of the past and use contactless. 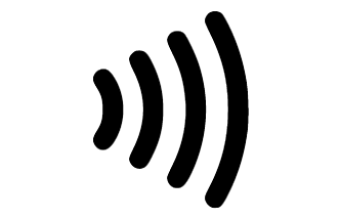 So, when you’re grabbing things like a sandwich or that much needed caffeine boost look out for the contactless symbol and save time and just tap and go. Just like chip and pin payments your contactless payments come directly out of your current account and will appear on 365online and your monthly statement.